Sometimes a business relationship doesn’t quite work out as you intended. If there is a contract in place and a business owner is faced with a situation where the other end of an agreement was not honored, there are options available to either enforce the contract or receive compensation for any losses. Your ability to enforce the contract or receive compensation will depend on whether there was a breach of the contract and the type of breach. A breach of contract can be considered as either ‘material’ or ‘non-material’. A non-material breach is the less serious of the two. A non-material breach is one which pertains to a minor or ancillary detail of the contract. For example, a non-material breach would occur if a homeowner and an electrician agreed to have the electrician wire the home using a type of yellow wire but the electrician ended up using blue wire. This is a non-material breach because it does not go to the heart of the contract. Although the color of the insulation on the wire is different this is merely a minor deviation as the color does not impact the functionality of the wire. Furthermore the deviation in color isn’t even visible since the wires are hidden within the walls of the home. A material breach would be considered as a more serious form of breaking a contract. A material breach negatively affects the value of the contract and considered a failure to perform an essential element of the contract. If we go back to our example of the homeowner and electrician, let’s assume that the agreement was to install copper wiring due to its greater reliability and durability. However, to save money on materials, the contractor uses aluminum wiring which is more prone to failure and requires additional care if future work on the electrical system is performed. This is a material breach because the defect in the performance of the agreement goes to the performance, durability, and safety of the electrical system itself, or “heart of the matter”. If a breach of contract has occurred, you may feel that you have been cheated or wronged. It is important to know that breach of contract itself is not considered a criminal offense. Therefore, the business that has been harmed by the breach can only seek damages, not criminal charges. What can a business owner do in the event of a breach of contract? So then, what can you do if the other party in a contract commits breach? 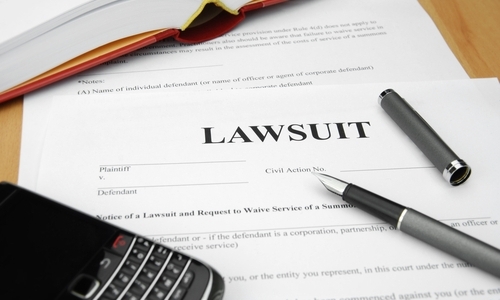 For either type of breach you should consult with an experienced commercial litigation attorney. For a non-material breach, an attorney may advise you that you must continue to perform your part of the contract but can sue for damages that were caused by the non-material breach. If the breach was material then your attorney may advise you that you file a lawsuit at any time to recover damages and that you may be excused from performing your part of the contract. In any case, if you have suffered a loss due to a breach in contract you should immediately contact an experienced corporate attorney with the guidance and experience necessary to ensure that your interests are covered and that you are able to make things right. This entry was posted in Blog Posts on April 26, 2013 by Gerald S. Berkowitz.